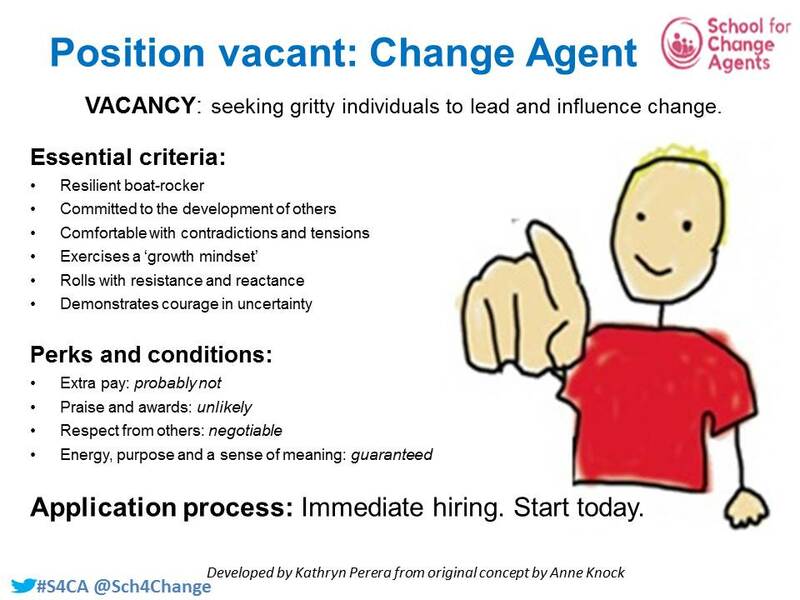 Be A Change Agent - Roles Available, Start Today! We can't believe The School for Change Agents for 2018 is over already! Thousands of people from all over the world signed up for the innovative, interactive online course. Each of the five weekly live webinars featured lively chat, reflections, as well as exchange of ideas and experiences by our community. Module 5 was about being a Change Agent of the future. 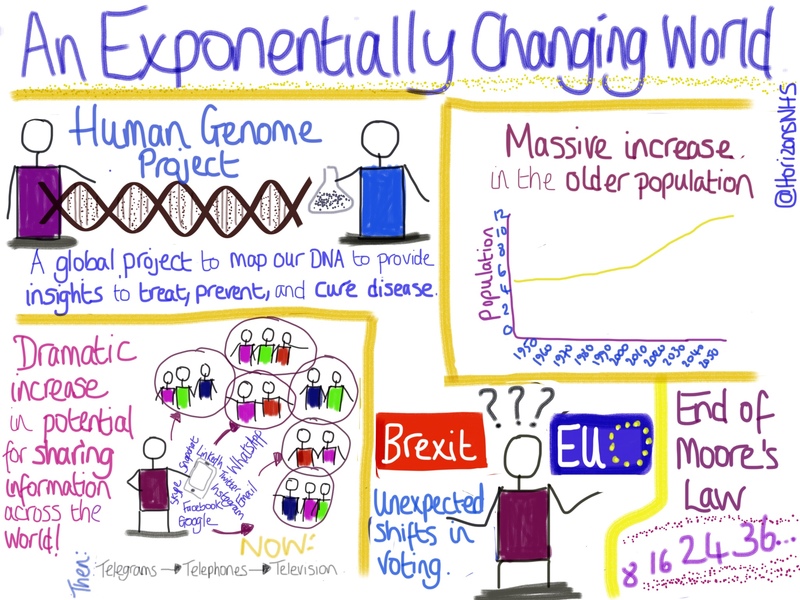 During the session, we talked about how much the world has changed and is changing, as this sketchnote shows. Often when we think of change and change agency, we think of it in an organisational context. We might think of change as something that is implemented. There are so many developments happening all the time - in technology; research into diseases and new treatments; our political landscape is evolving; and our population is increasing as we live for longer. It's important to reflect these exponential changes not just as points of interest, or developments to be excited about or fearful of, but as representative of the fact that our world is changing all the time. To me, it's a useful way to think about change, especially when we might feel quite understandably uncertain about what life might look like in the future. Uncertainty, or living in a state of flux, is never comfortable, is it? 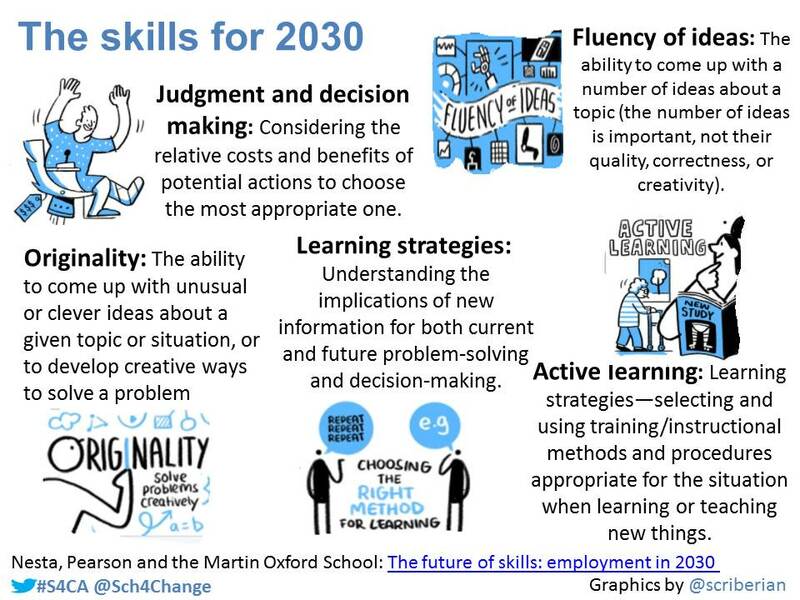 In the context of our ever-changing world, it's a good time to think about the skills we are likely to need in the future. Many of these skills are about mindset, and the ability to adapt. Plus many of our roles and skills will be interdependent, meaning we need to be working together - and hold an understanding that the world is complex, full of paradoxes and contradictions. While so much is changing, however, there is much that has remained the same despite it needing to change - or change being long overdue. These include the structures of organisations, like rigid hierarchies, and traditional leadership being unwilling for the status quo to be challenged. We have much to be optimistic about: everyone has the potential to be a change agent. Everyone has within them the ability to lead and influence change, no matter who they are, no matter where they work, no matter their role. Even better? Being a Change Agent is a role you can start - right now. The role of a Change Agent undoubtedly brings with it many challenges - we know you have the requisite courage, passion, determination, and are equal to the task. We know, too, that the energy, purpose and sense of meaning you will gain from influencing positive change makes it all worth it.